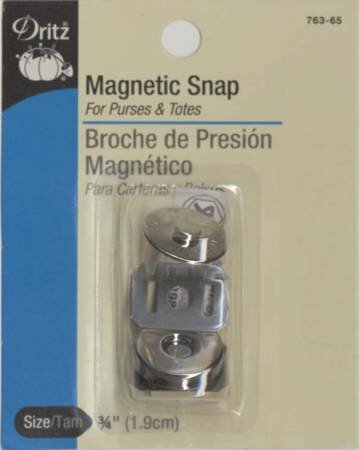 The "Sew-In Magnetic Snap" is a classier, less obvious handbag closure than the traditional clamp in magnetic style. Encased in sturdy yet pliable plastic you can machine sew it to the lining or interfacings, making it completely invisible on the outside of the bag. The 3/4" magnet is strong enough to operate through several layers of fabric. Machine washable. Go ahead finish those handbags, no more excuses - Snap to It!